The way you eat, diet, talk about your body, and exercise makes a big difference in what your child learns about healthy habits. Being overweight or obese is a serious problem for adults and children. New research shows that 40 to 48 percent of adults and 12 to 21 percent of children living in Eau Claire County are obese. People living in rural areas appear to be at a higher risk for obesity. We all have heard about rising obesity rates, but did you know that children today are three times more likely to have obesity compared to children living in the 1960s and ’70s? As a parent or caregiver, you’re the most important role model for your child. The way you eat, diet, talk about your body, and exercise makes a big difference in what your child learns about healthy habits. A focus on your weight can backfire. Negative talk about your body or your weight can lead young children and teens to feelings of guilt, insecurities about their own bodies, and eating disorders. Instead, use positive talk about how healthy foods make you feel good and have more energy. Don’t feel guilty about taking time to exercise. It’s important for children to see that being active is a normal part of everyday life. The more active you are, the more likely your kids will be active. Have fun being active as a family. Kids need 60 minutes of daily physical activity. 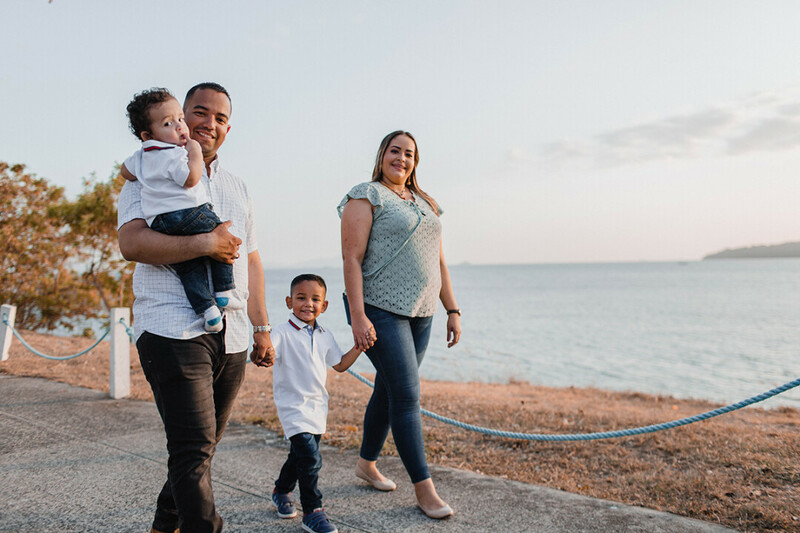 A new tradition of evening walks around the block or weekly active family outings makes memories for kids and adds in more exercise for you. Eat a healthy breakfast. People who eat a healthy breakfast tend to have a healthier weight. Eat a meal as a family three times each week. Turn off screens and focus on enjoying time together. Experts have found that eating and talking together helps children eat healthier, have a healthy weight, and even do better with behavior and in school. Fill half your plate with fruits and vegetables. Instead of cutting out foods, think about eating more healthy options. When you eat more fruits and vegetables, you will likely eat less of the higher-calorie foods. Drink water. Calories from sweetened coffee drinks, juice drinks, or regular soda add up quickly. Many people who drink high-calorie beverages daily find they lose weight easily by cutting them out. Put away the snacks. A couple of healthy snacks between meals can be an important part of your child’s eating pattern. Rather than grazing on snacks, try planned snack times. Monitor portion sizes by putting snacks in a small bowl or bag. Don’t eat out of the package or carton. Eat at home. If you or your family eat a lot of meals away from home, try limiting it to once per week. When you start making good lifestyle changes, kids will notice. Cheers to the new year and a healthier you! Susan Krahn, MS, RDN, CD, CLC, is a public health nutritionist and registered dietitian with the Eau City-County Health Department/WIC Program.